Put your Patriots spirit on display in this New England Patriots Long Sleeve Hoodie! You'll be cozy on game day in this New England Mens Grey Victory Hooded Sweatshirt. This Patriots Long Sleeve Hoodie features a kangaroo pocket, rib cuff & bottom hem, contrast drawcords, and inside hood. Stay warm and show off your New England Patriots team spirit with this pullover hood. 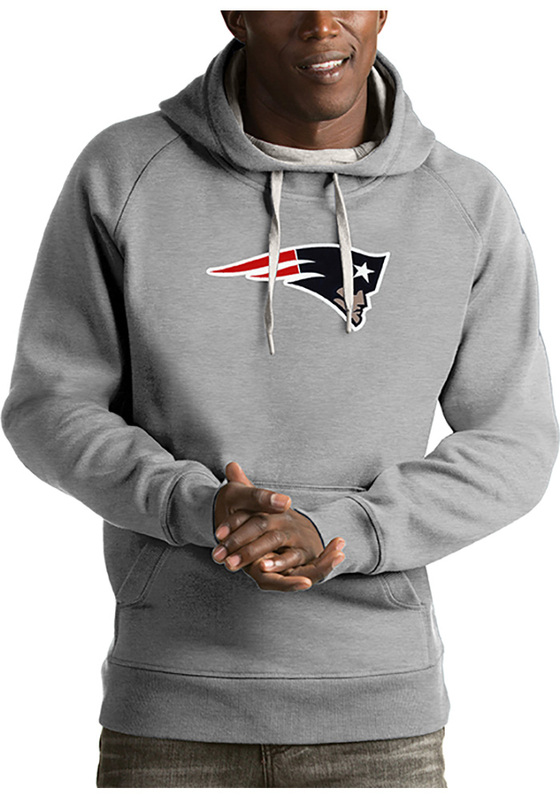 Wear your New England Patriots spirit with pride in this great Mens Hooded Sweatshirt!